Here at Artfully Reimagined, we are passionate about doing our part to help the planet and encouraging others to do the same. In addition to providing a venue for artists who work with disposable items to showcase and sell their works, we pledge to donate 5 percent of our profits to a mini-grant program to launch and support careers in the inspiring world of repurposed art. 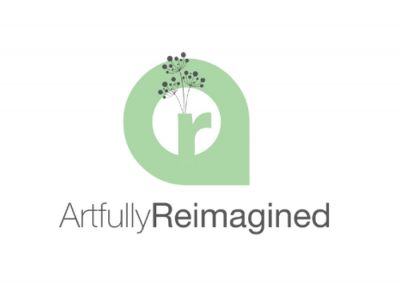 ReimagineIt Grants are unconditional, non-matching awards made directly to individual artists to help launch or support careers in the inspiring world of repurposed art. Awards are based on the creative excellence of works submitted for review and are awarded to a limited number of artists of outstanding talent working with found, reclaimed, recycled, repurposed, vintage, or upcycled objects. There is no deadline for mini-grant applications, and it’s easy to determine if you or someone you know is eligible. Just download the prospectus. Grant awards range between $100 and $500. No awards will be made in years when funds are insufficient or if proposals are not suitable. Funding for this program is completely dependent upon the proceeds of sales on ArtfullyReimagined.com and independent sponsorship. To learn more about sponsorship, click here. We’re all in this together, so spread the word and support our artists at ArtfullyReimagined.com. Collectively, we can make a real difference.